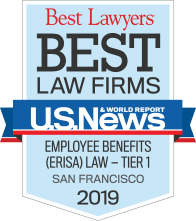 Brad Huss has been practicing in the employee benefits field for over forty years, and his practice is primarily in the areas of ERISA litigation, fiduciary responsibility matters, Department of Labor investigations, and qualified pension and profit sharing plans. Brad serves as a private mediator in ERISA litigation matters and has been appointed as an Alternative Dispute Resolution Neutral in over seventy ERISA cases by the United States District Court for the Northern District of California. Brad has also been appointed as a Special Master in an ERISA case by the United States District Court for the District of Idaho. 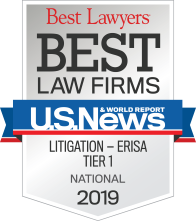 Brad makes frequent presentations on ERISA litigation and fiduciary responsibility matters to groups including the Western Pension & Benefits Council, the American Society of Pension Professionals and Actuaries, the National Institute of Pension Administrators, and the American Bar Association. Brad has testified before the Senate Finance Committee of the United States Congress on retirement income security issues.